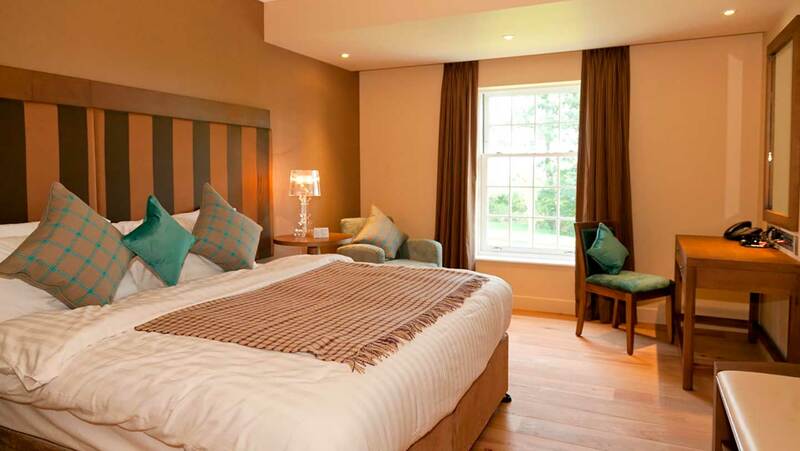 Ribby Hall Village is a five-star holiday village with a glamorous Spa Hotel. 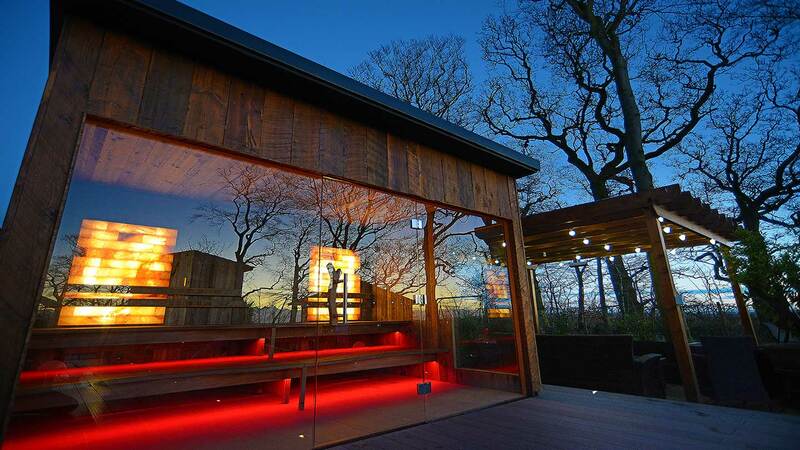 The thermal space is stunning: a vast glass structure overlooking the decked spa garden with its outdoor hot tub and sauna. 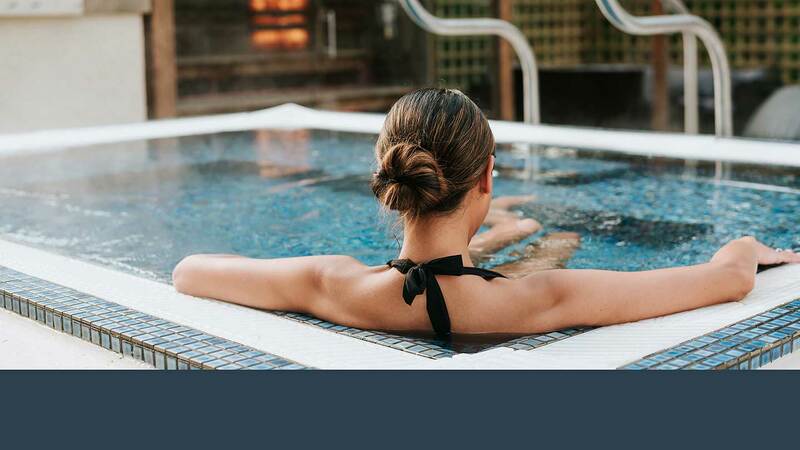 At the centre is the large bubbling hydrotherapy pool surrounded by loungers and seven heat experiences, including the herbal sauna, the aroma steam room, tepidarium, sanarium and Balinese salt inhalation room. 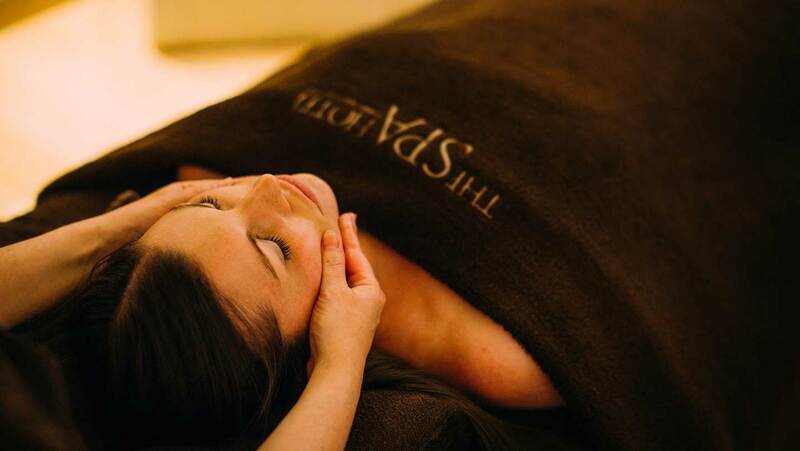 The spa menu has Elemis, Neom and ishga treatments on offer as well as exclusive signature rituals. 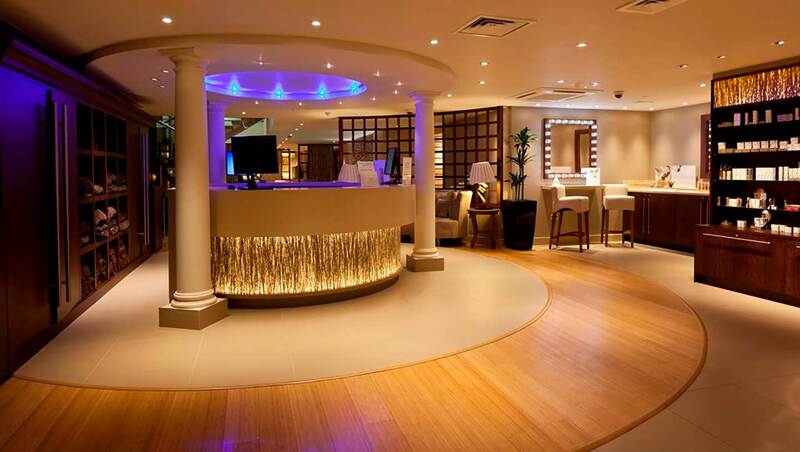 The spa reception area is a light, calm space with a round desk surrounded by banks of colourful spa products. A friendly receptionist handed us a map, a towel and flip-flops, then showed us through to the changing rooms. The changing rooms are large, with grey tiled floors, banks of wooden lockers, and a complementary colour scheme of light and dark browns. You can change in one of three private cubicles. Everywhere was clean and tidy on our visit. The four glass-sided showers were spotless, with Elemis shampoo, conditioner and body wash. The eight marble-topped vanity stations are equipped with hairdryers, straighteners, boxes of tissues and Elemis body lotion. There is a spin dryer and plastic bags for your damp swimwear. 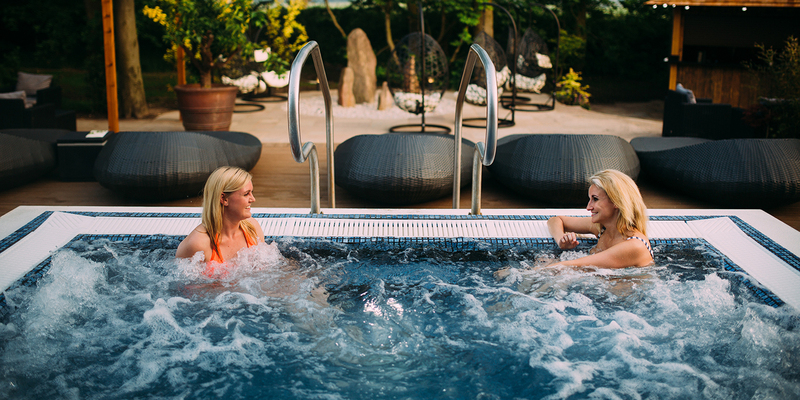 The star of the spa show is the Aqua Thermal Journey, which includes a variety of heat experiences. Ideally, start in the gentle aroma room then, once acclimatised, enter the mosaic-tiled aroma steam room. Next, you can either massage your warmed limbs in the hydrotherapy pool with its timed massage jets and swan pipes, or cross over to the wooden sanarium. Dip your toes in one of the footbaths before heading to the mosaic-tiled Balinese salt inhalation room, which was one of our favourites. Cool off in the monsoon and mist showers, ice fountain or the cold bucket shower. Next, try the herbal saunarium, or the outdoor rustic sauna which looks over the spa garden. The spa has plenty of wicker, cushioned loungers to rest and water coolers to keep you hydrated. Spend some time reclining on a tiled warm tepidarium lounger with magazines, too. 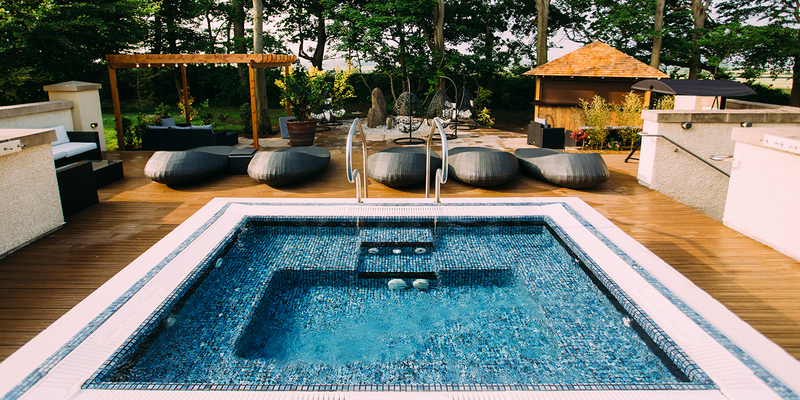 In the Zen garden, you can enjoy the deliciously hot and bubbly outdoor hot tub, which is raised on a decked area, lined with blue mosaic tiles, and could comfortably seat eight close friends. Up a level on the Zen terrace is another mosaic hot tub (deliciously hot) and -- the final recommended experience -- the Himalayan salt sauna, which felt ultra-soothing. 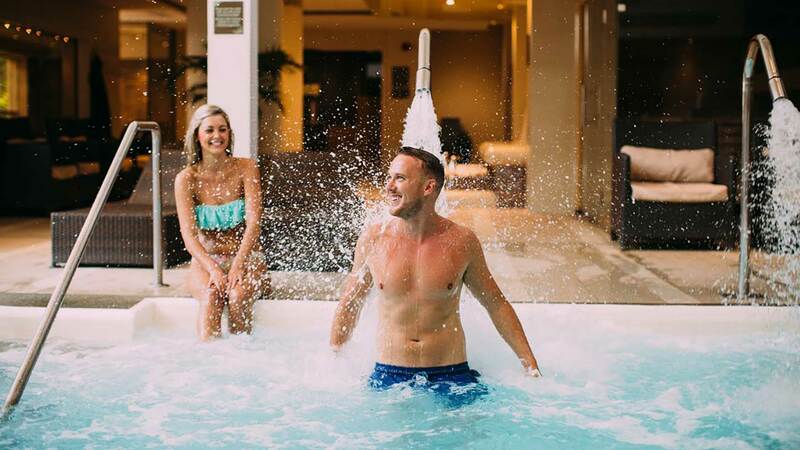 Cool off in the experience shower, then curl up on one of the comfortable cushioned loungers or hanging pods by the bar, where you can order smoothies, soft drinks or bubbly. We loved the views from the aptly-named Countryside View Room with its large windows. Help yourself to a hot drink, fruit, a mini flapjack or some fruit-infused water before relaxing on one of seven loungers. For post-treatment snoozing, the Dark Relaxation Room -- a candle-lit space with lie-flat loungers and furry blankets to snuggle under -- is ideal. There is a nicely equipped gym, too, and a rasul mud chamber. 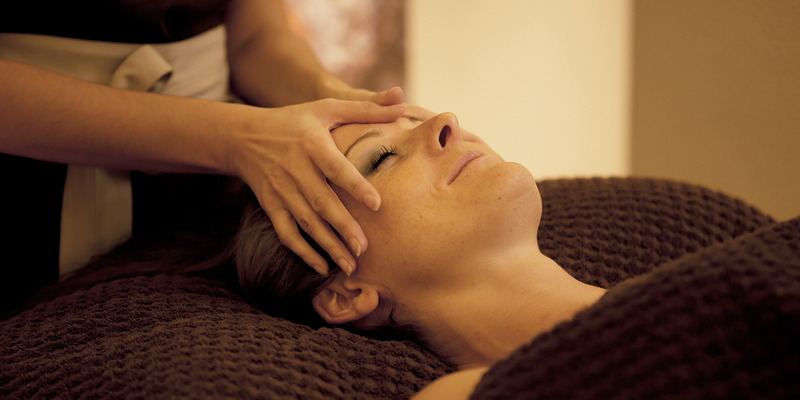 We had the Elemis Superfood Pro-Radiance facial (60 minutes, £77) and the Decadent Cocoa Ritual (90 minutes, £90). For the facial, Camille started by asking me about skin sensitivity and about any concerns I had. I lay on the wide, heated bed, and she began the treatment with a thoroughly creamy cleanse, a spritz of toner, then a rose exfoliator to deep-clean my skin. She wiped off the products with gorgeously hot mitts. The first mask then followed, which Camille whipped up and applied with a brush. As it set, she treated me to a scalp massage, which was most welcome. The mask peeled off in one go leaving my skin feeling softer already. The second mask was creamy and rich for hydration. As this dried, I relaxed further with a hand and arm massage. I really enjoyed the facial massage with a soothing oil, where Camille worked in figures of eight around my eyes. To finish, Camille toned and moisturised my face, neck and décolleté using a range of Elemis products. My skin looked smooth and brighter; I was impressed by the hydra-gel eye pads, which had visibly hydrated the area beneath my eyes. For the Decadent Cocoa Ritual my therapist, Amy, led me to a softly-lit treatment room with a full-length photo of a waterfall cheering up one wall. She invited me to sit on a chair so that she could soak my feet in warm water and explain the various stages of the treatment. As I lay face down on the treatment bed, Amy briskly brushed my back and shoulders before asking me to turn over so that she could repeat the experience on my legs and arms. She then applied a cocoa-scented, anti-oxidant-rich wrap which smelled delightful. Amy wrapped me up in towels so that the body mask could set; I certainly felt nice and warm. Her lovely scalp massage while it set was perfection. After Amy unwrapped me, I hopped into the shower in the room to divest myself of chocolate. (This is a gloriously messy treatment.) Amy reset the bed, then treated me to a full body massage, which was both soothing and uplifting. To end the treatment, she applied a hydrating body lotion. My skin felt soft and smooth from the wrap, and my mind calmed by all that massage. Amy then led me to one of the bright relaxation rooms to sip a sweet chocolate mocktail. I also took home a Natural Spa Factory Cacao Flower massage candle. 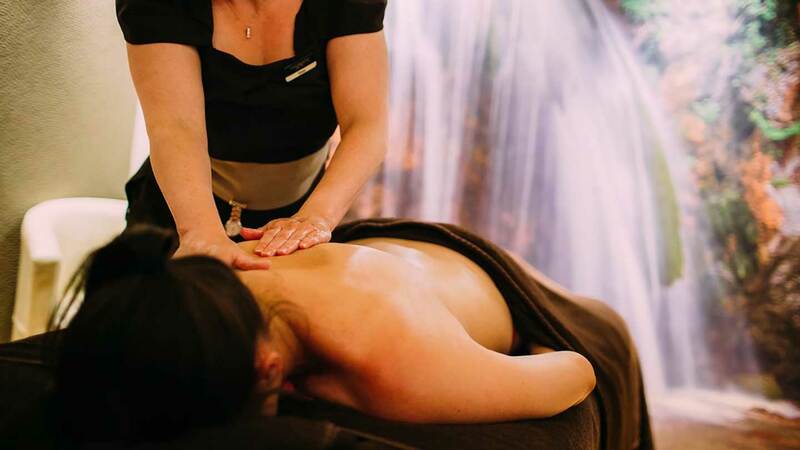 The Spa Hotel offers a range of massages, facials and holistic treatments such as reflexology as well as beauty treatments including manicures, pedicures and make-overs. Specialist treatments for men, mums-to-be and people being treated for cancer are also available, alongside physiotherapy sessions. 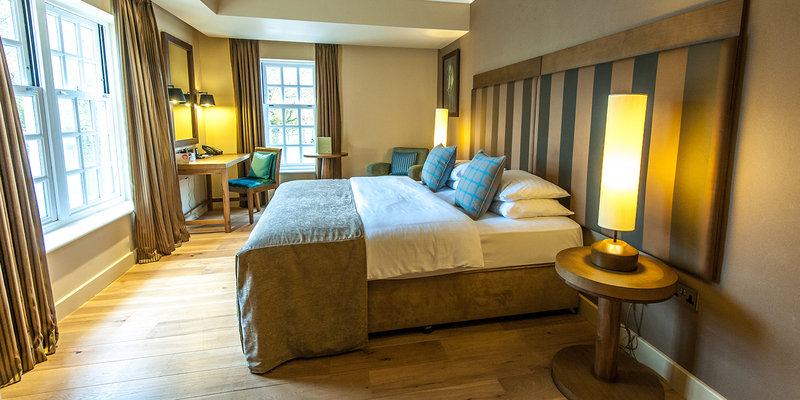 The recently-opened Wellness Suite, run by its own Wellness Manager, also offers reflexology, hypnotherapy, mind taming, yoga and pregnancy retreats and crystal healing. 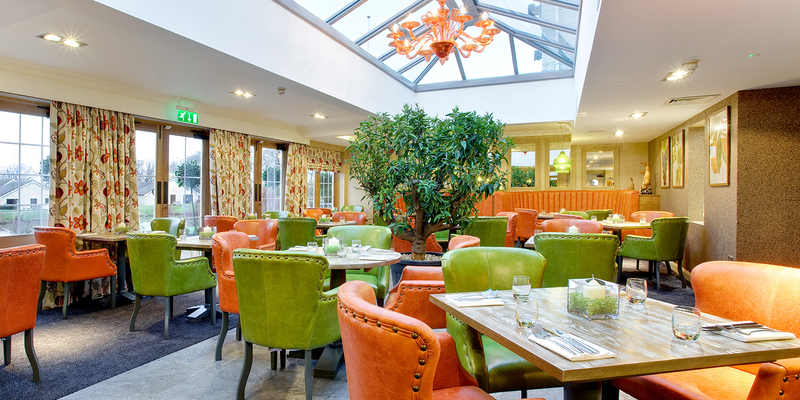 You can have lunch in your robes at the two AA Rosette The Orangery, a bright restaurant with lime and orange leather chairs and, the centrepiece: a glass orange chandelier hanging down from a skylight. 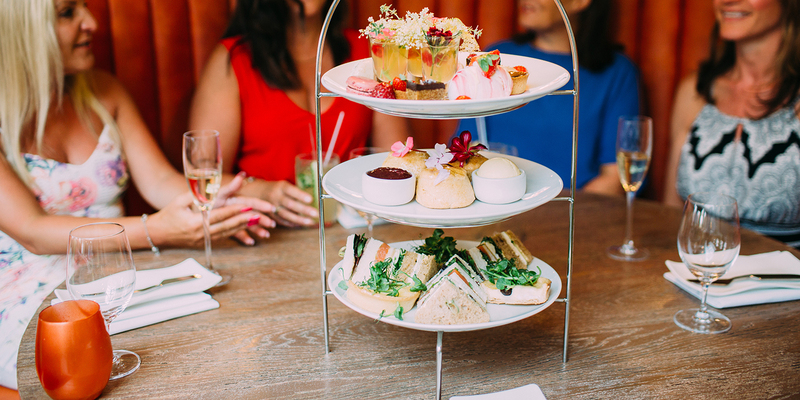 Day packages include lunch or afternoon tea, beautifully-prepared and served. The menu is fresh and tempting, with many foods locally sourced. You can have a main course lunch with dessert, or a lighter sandwich. There are good vegetarian options and the chef can cater for gluten-free or other dietary requirements if you let them know on booking. Our starter of beetroot and goat's cheese was light and tasty in equal measures. The crispy beef and egg noodles equally tasty but more filling. The evening meal was just as delicious: lightly cured salmon with asparagus and samphire all the way from Formby, followed by the fish of the day, plaice. The helpful service from the friendly staff; they really did make the day. 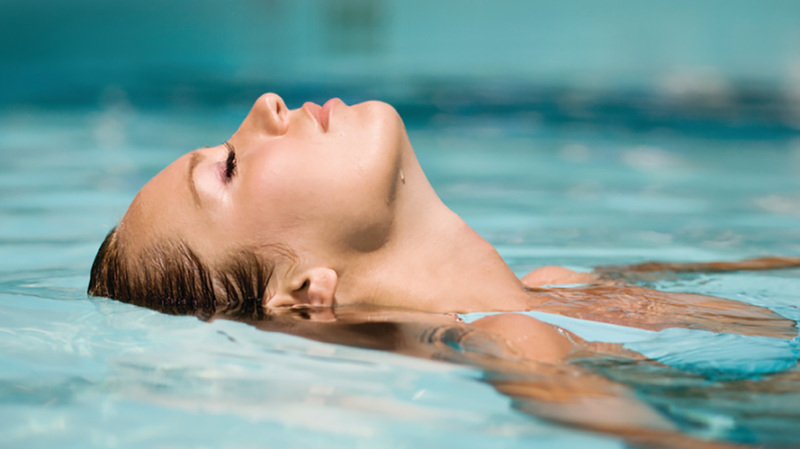 The spa's cleanliness throughout the wide range of thermal facilities. 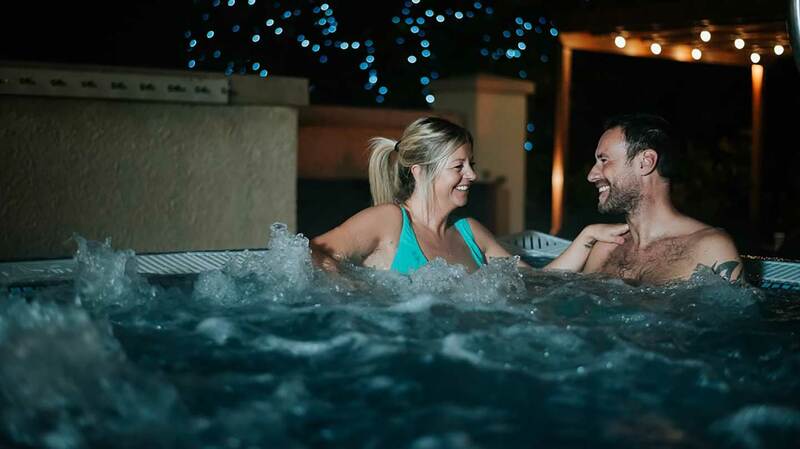 The extended Zen garden -- with its bubbly outdoor hot tub and Himalayan salt sauna -- is a real treat for spa-goers, making the spa at Ribby Hall even better value-for-money. 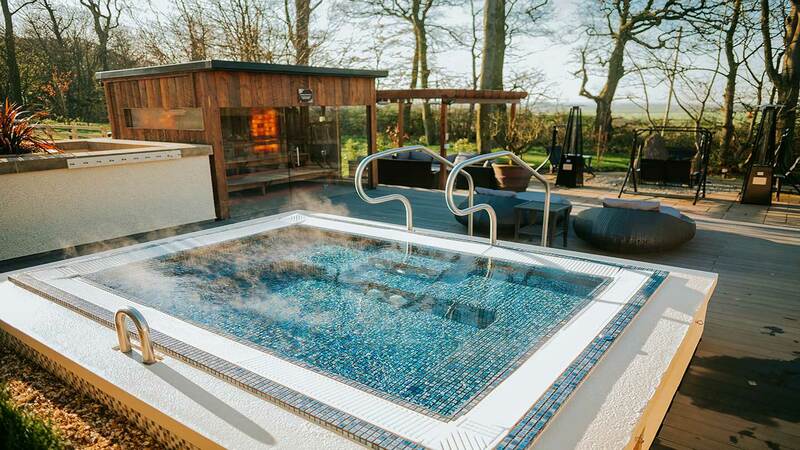 The outdoor hot tubs can get busy, with the odd group of guests monopolising the space, but generally people move on and about. Anyone looking to relax and indulge will be happy at Ribby Hall. 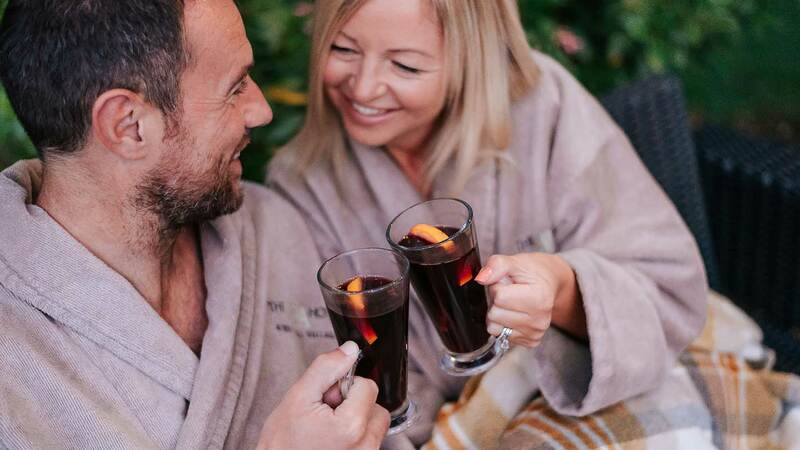 Mothers and daughters, couples, best friends, and small groups will enjoy The Spa Hotel, and it's very man-friendly, too. 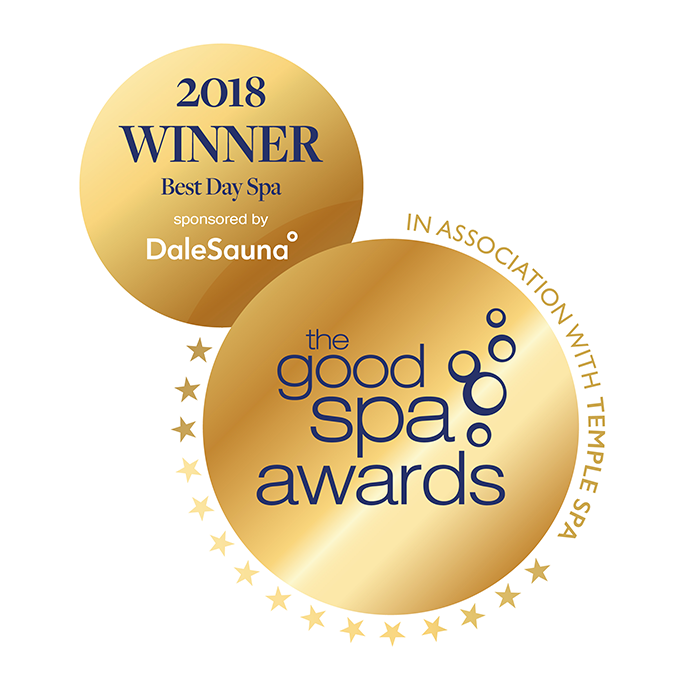 We awarded The Spa Hotel at Ribby Hall Village a Good Spa Guide Bubble Rating of 5 bubbles because the spa offers a variety of thermal experiences, great food, and good value. As the spa and hotel are adult-only (over 18), this adds to the peaceful atmosphere. The staff were friendly and helpful, and our treatments excellent. We loved the spa's sense of space and natural light, too. Single Spy visited in May 2018 and awarded it 5 Bubbles. "Since having chemotherapy My Daughter & I look forward to going every four to six weeks, we have tried a few different spars but this is the best by far, everything about it is brilliant, I tried to think of something I would change but as yet there isn't anything, we have had treatments as well as the thermal journey & bought some of there products to take home, just wonderful ???? The only thing we haven't done is stay overnight, but that's on my wish list for Christmas ???? So well done to all the staff at Ribbyhall ????" 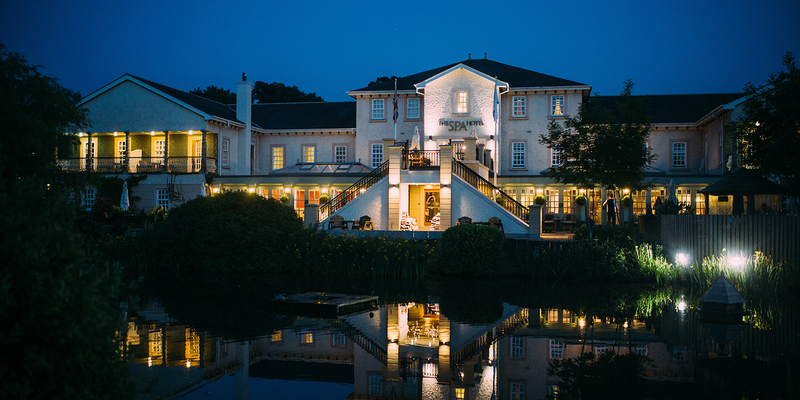 "We loved Ribby hall spa so much we got married there ! " "Ribby Hall is the most beautiful spa I have been to. I have been in a number of occasions with family, friends and a partner, which proves that it is an ideal retreat for anybody! Beautiful place." 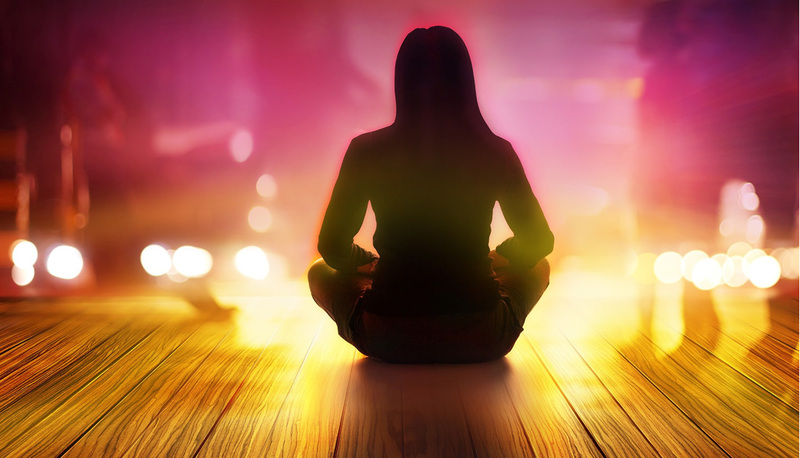 "This spa is incredibly relaxing, a lovely space to relax and unwind. The facilities are amazing, so many different areas to escape to and feel at peace. I always go here for my birthday, friends birthdays and whenever I need to destress and relax." "An oasis of calm in the countryside. 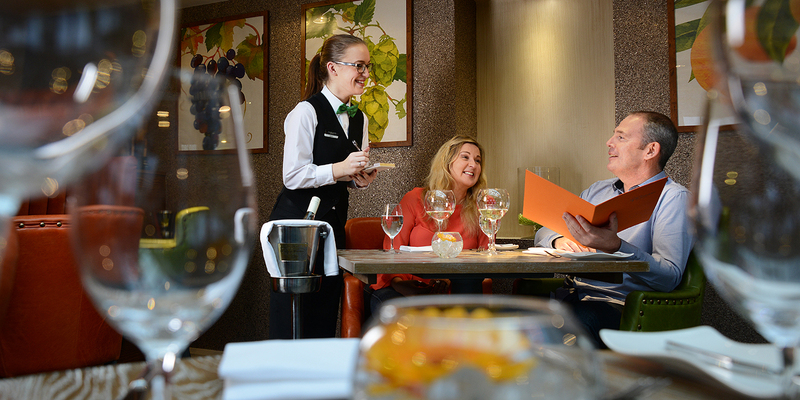 Warm,professional and friendly staff who make you feel special. " 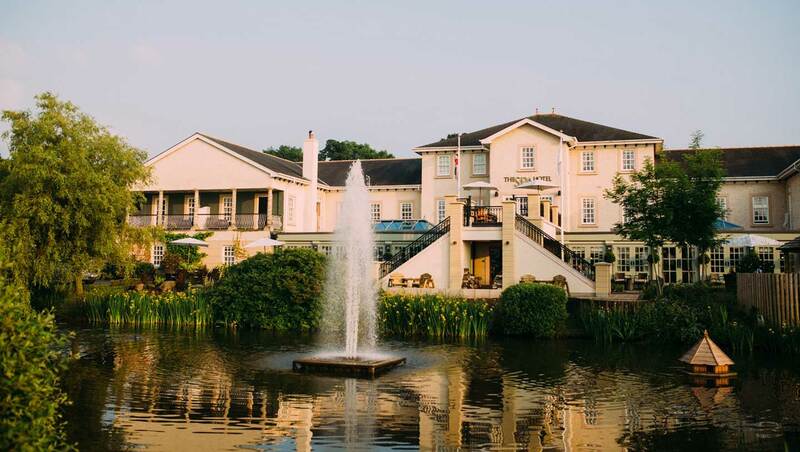 Guests enjoying a spa break can choose to dine in The Orangery or The Brasserie or The Restaurant. 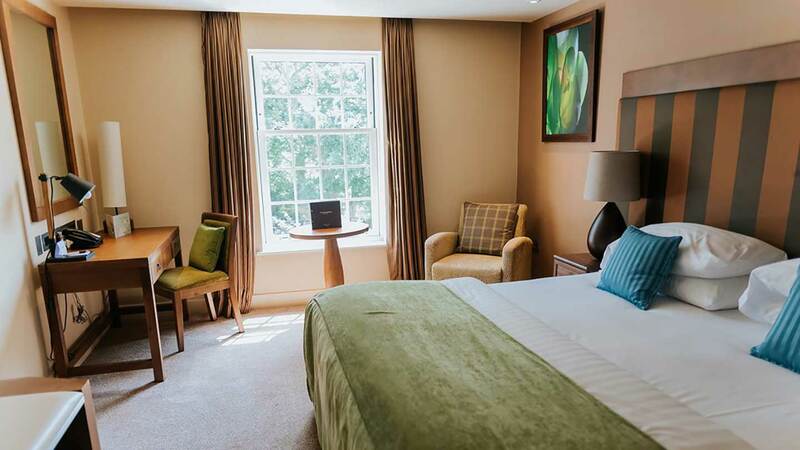 Choice of 38 rooms comprising: luxury rooms (from £99), one bedroom suites (from £115), two bedroom suites (from £99), a penthouse (from £115) and an executive penthouse (from £145). Prices are per person, per night. The spa is open from 10am to 8pm daily. Hotel guests can access the spa exclusively from 9am to 10am.